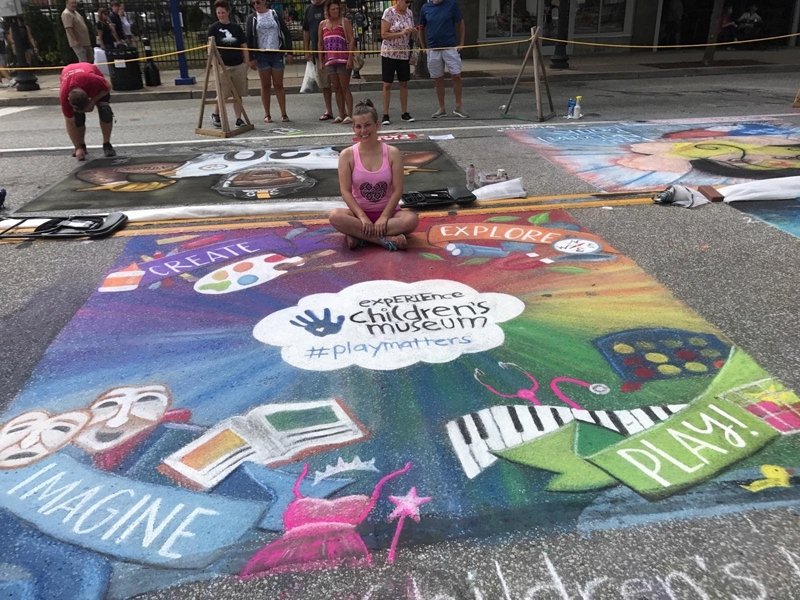 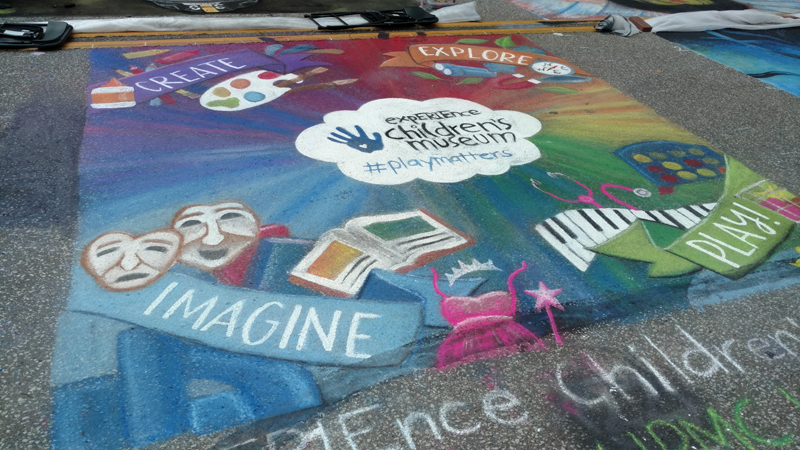 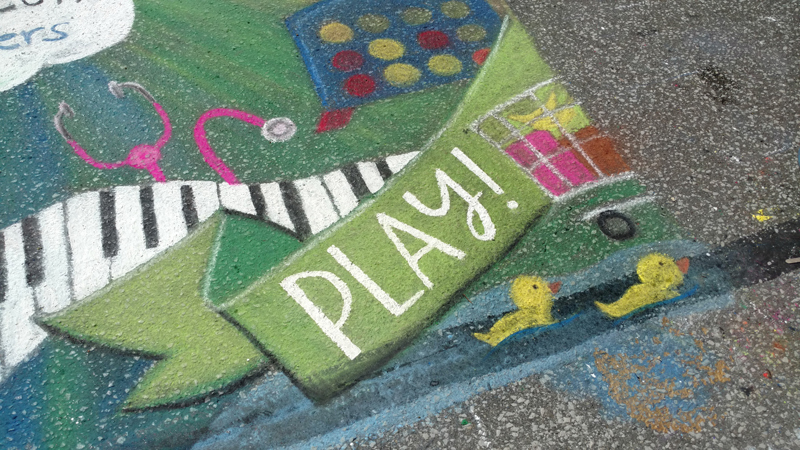 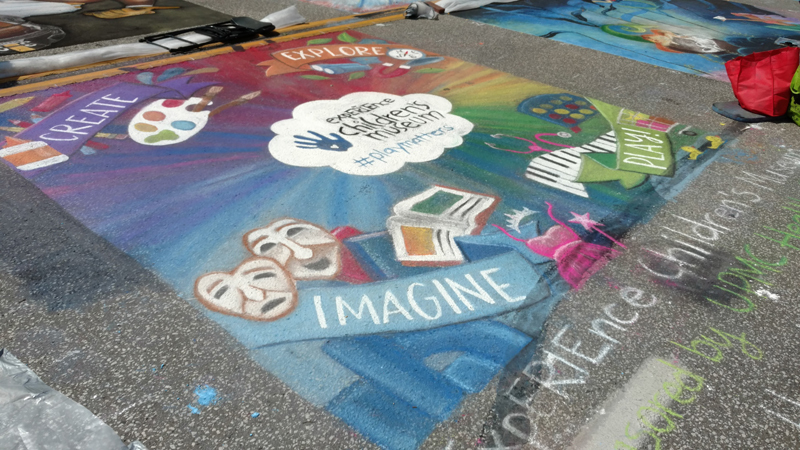 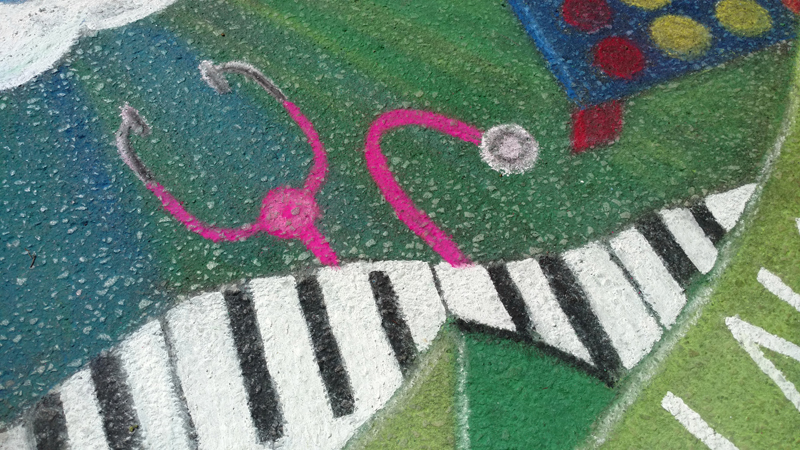 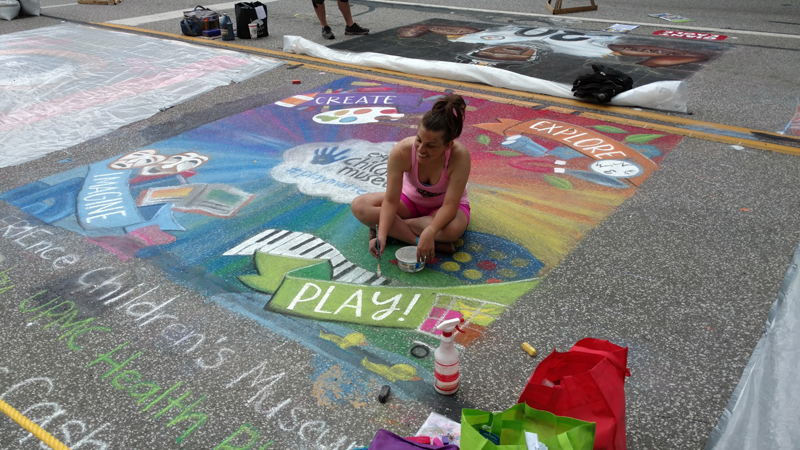 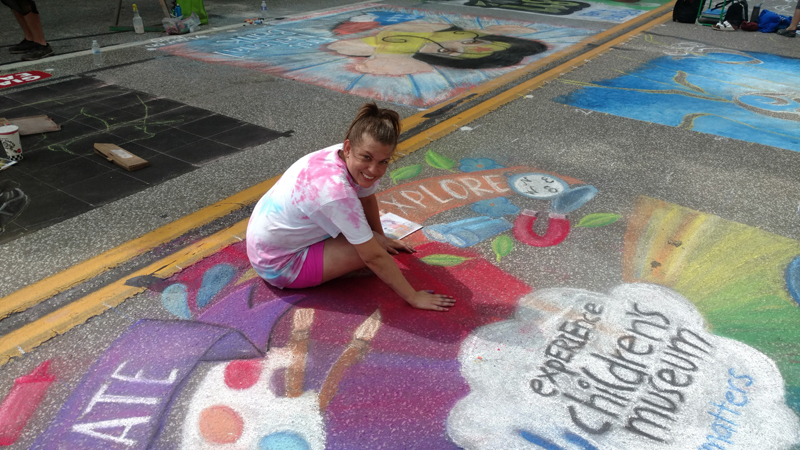 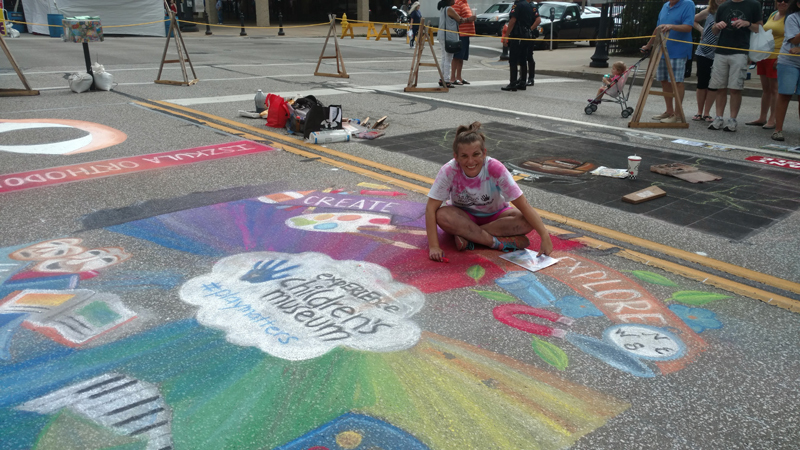 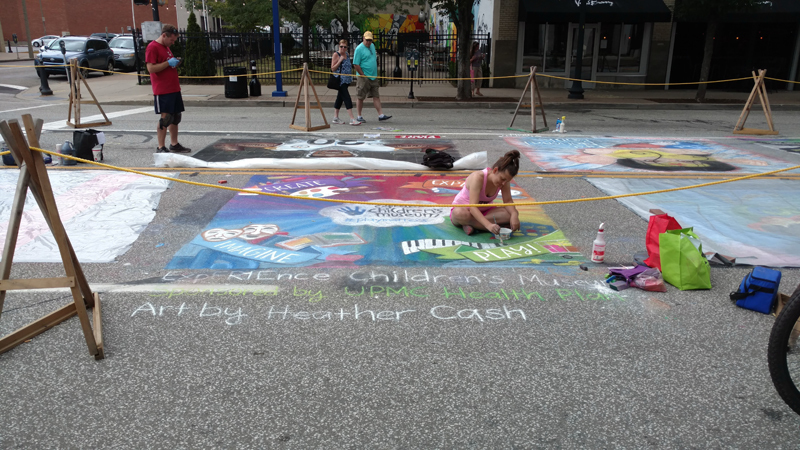 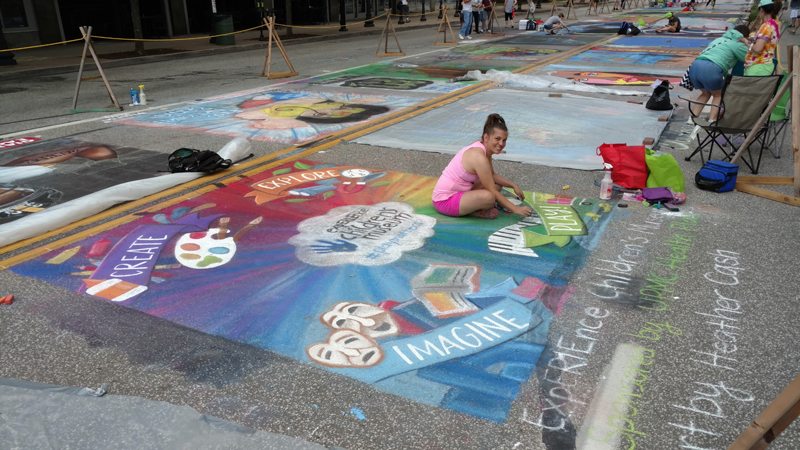 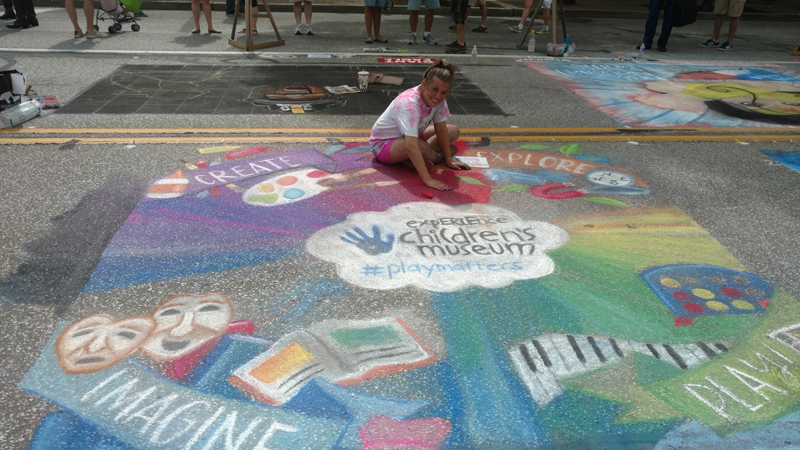 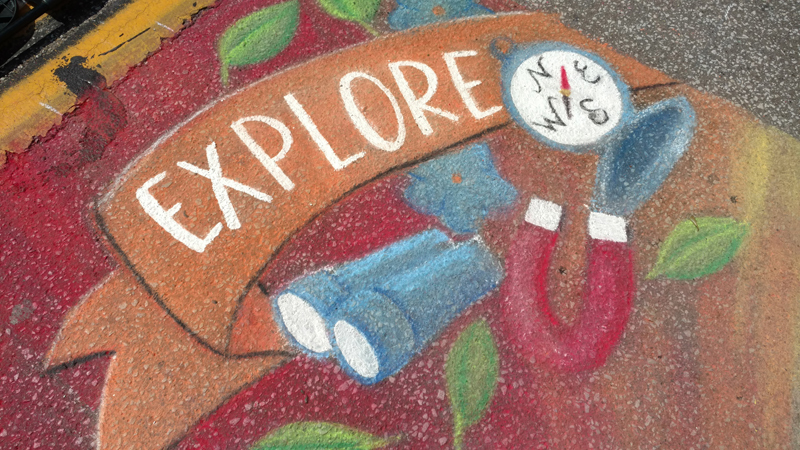 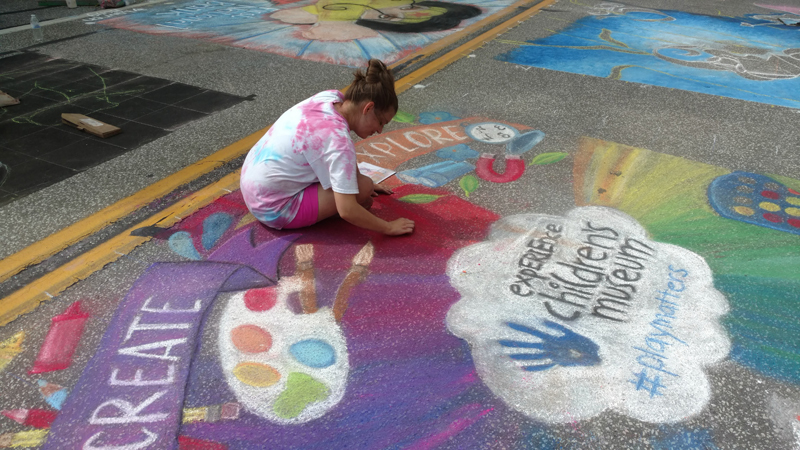 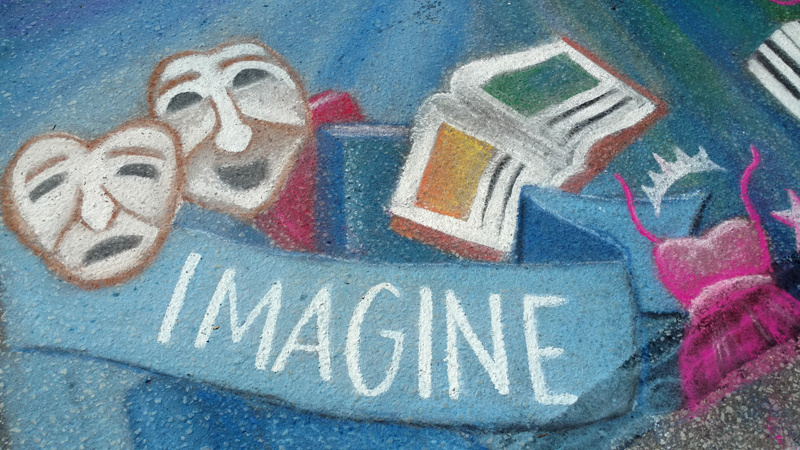 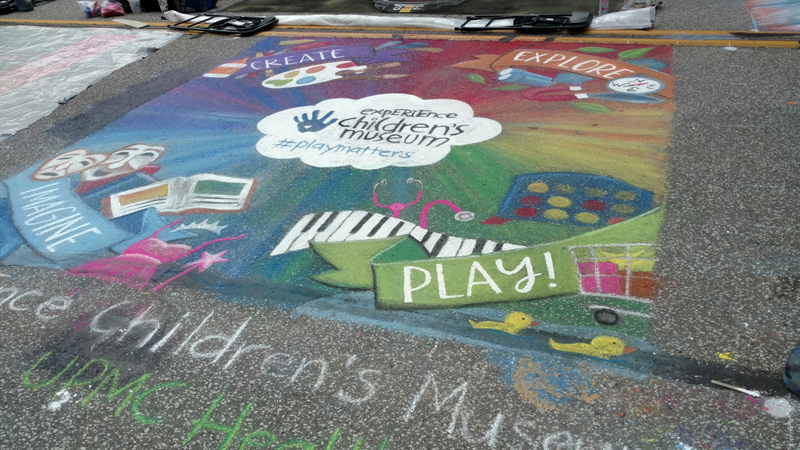 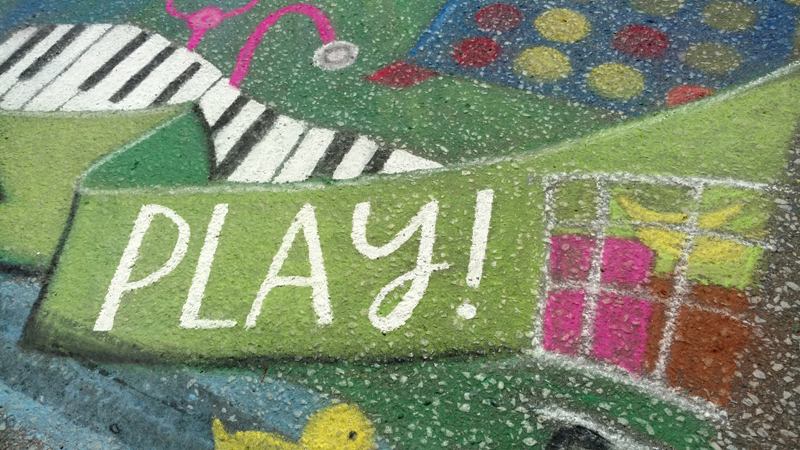 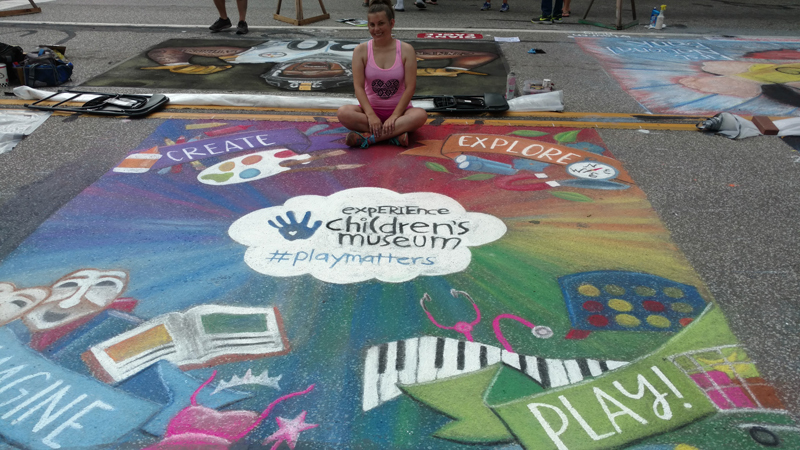 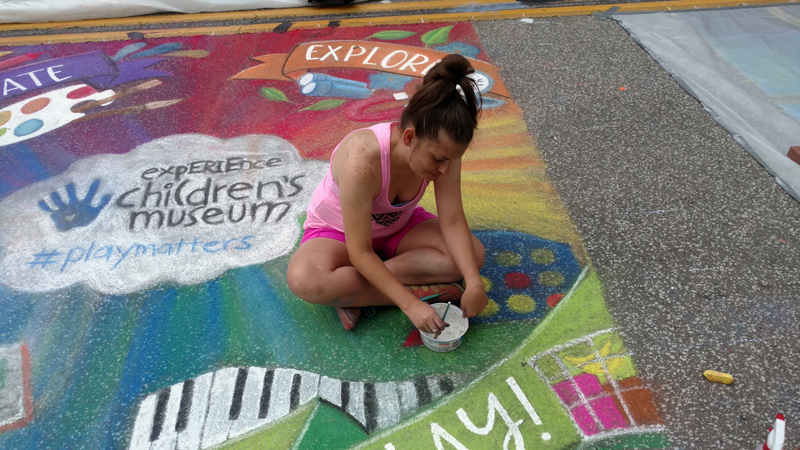 For the 2017 ChalkWalk, my sponsor was the Experience Children’s Museum, donated by UPMC Health Plan. 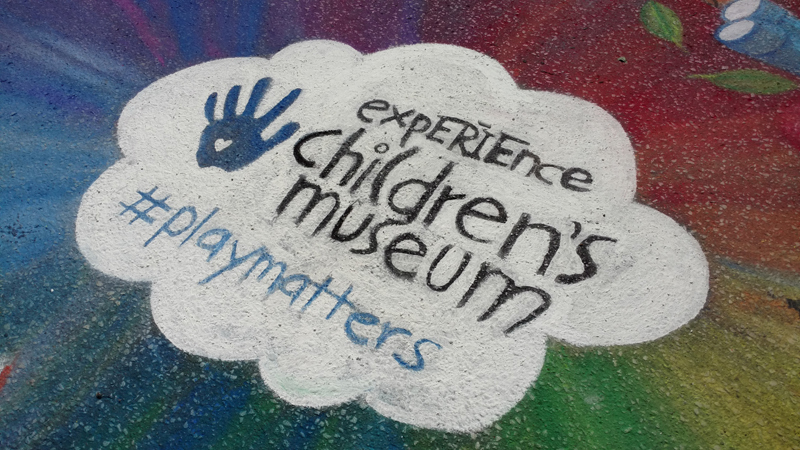 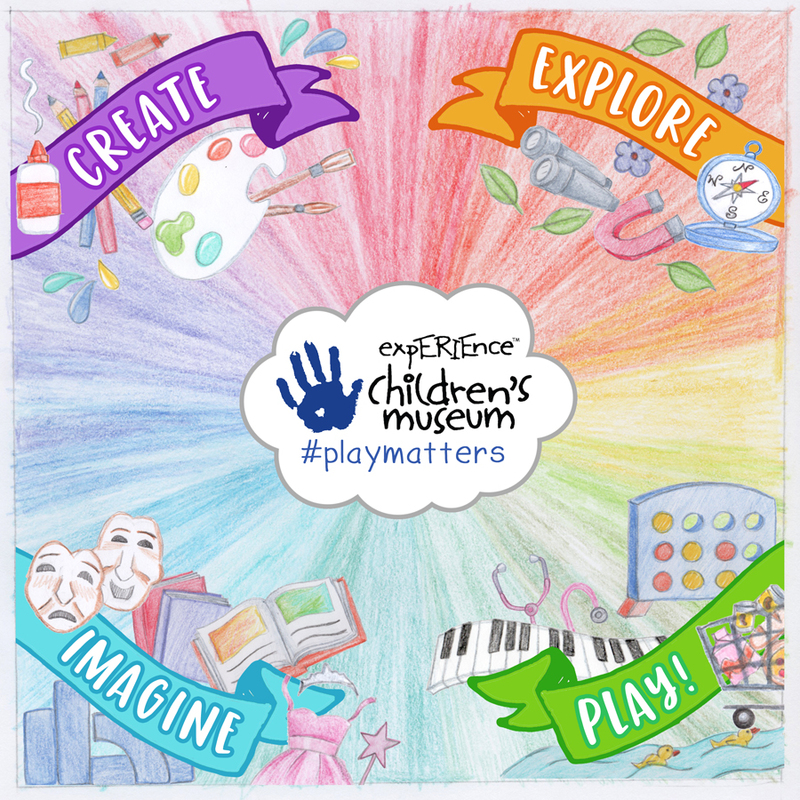 The Children’s Museum wanted something bright and colorful, that portrayed the playfulness of the museum. 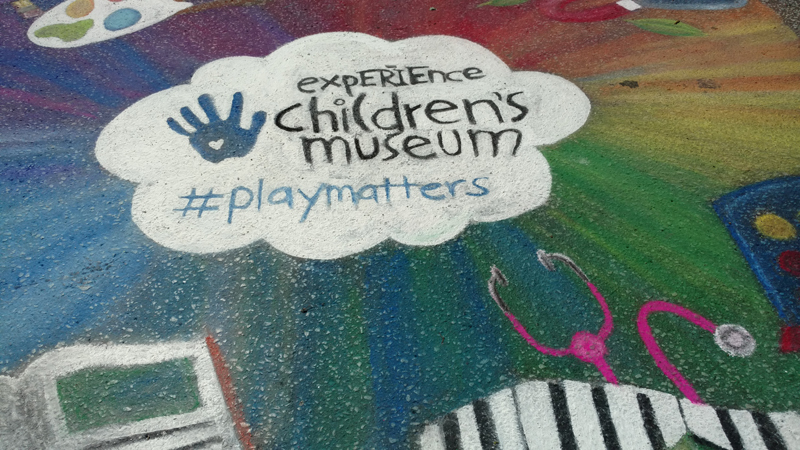 I went with the museum’s tagline, “Create, Explore, Imagine, Play!” I scattered elements of the museum throughout the mural – a stethoscope to represent the play doctor’s office, the giant Connect 4 game, the rubber duckies (from their water table), the shopping cart to represent their play Wegman’s area, etc! 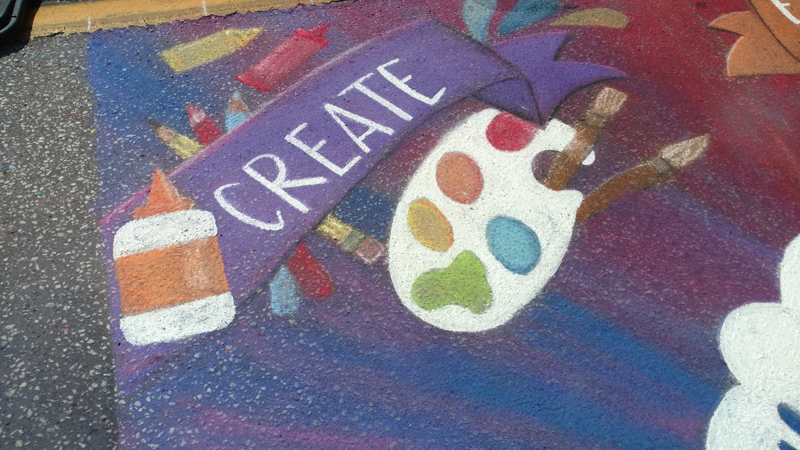 After many layers of chalking and mop-n-glo’ing, I finished it off by brightening the white areas. 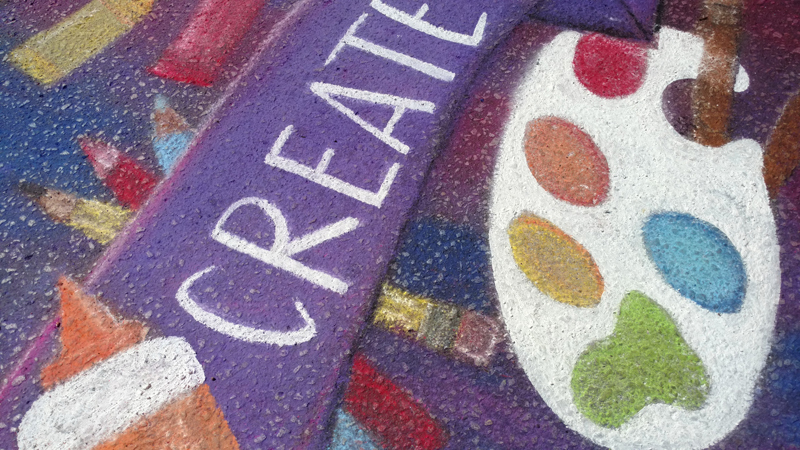 White is always the hardest color to get bright and clean looking. 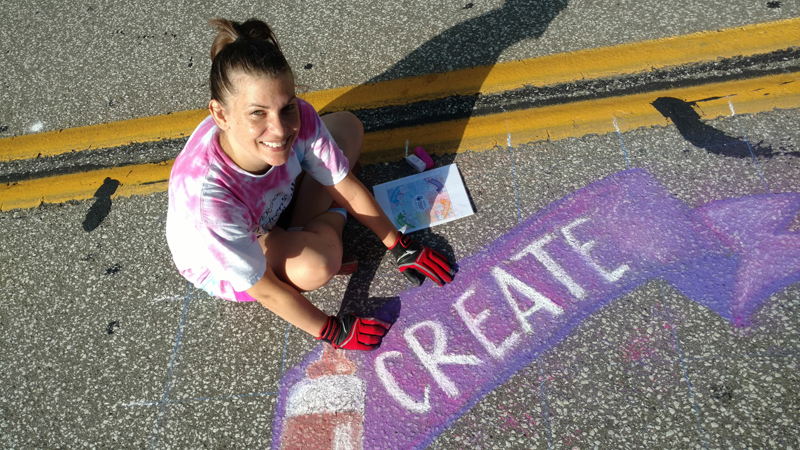 I created a white “paint” by mixing crushed up white chalk with Mop ‘n Glo, and painted on the final layer of white for a nice bright, bold look. 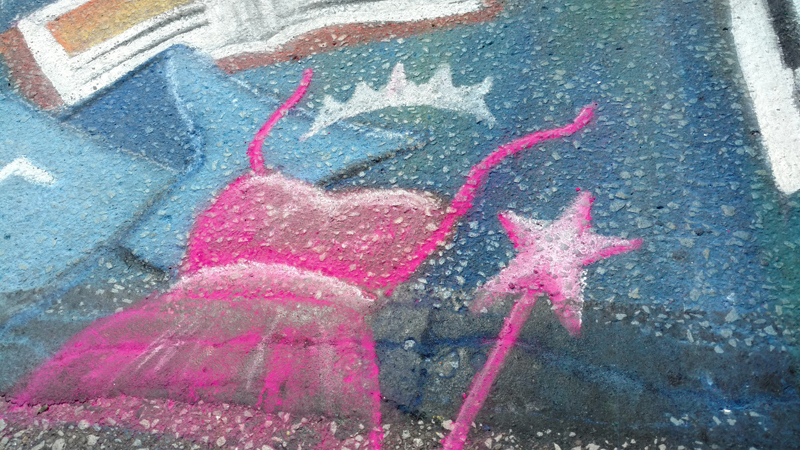 In total it took me around 16 hours to complete. 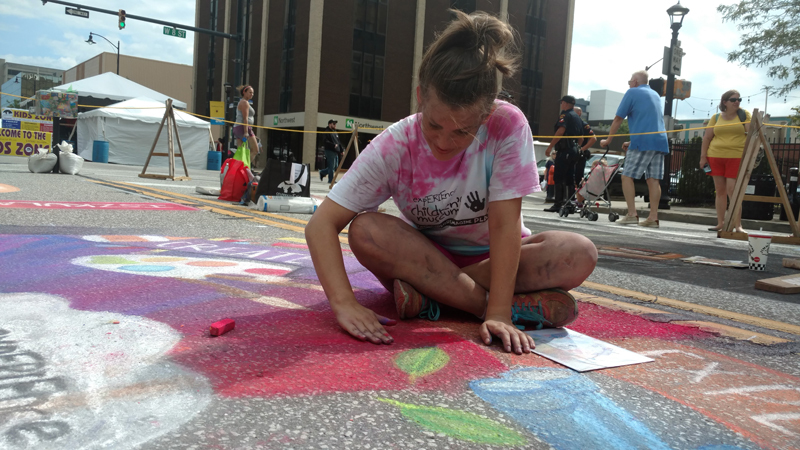 Sealed with Mop ‘n Glo, it will last for a few weeks to a month after the event.